When the smoke clears all that is ever left is FAMILY. The ReLEntless Defender Family exclusive. I waited for this to come out in a Hoodie!! Thank you so much for making the hoodie. I love Forensic and wear my order vs chaos t shirt all the time. Thank you so much for making the hoodie! 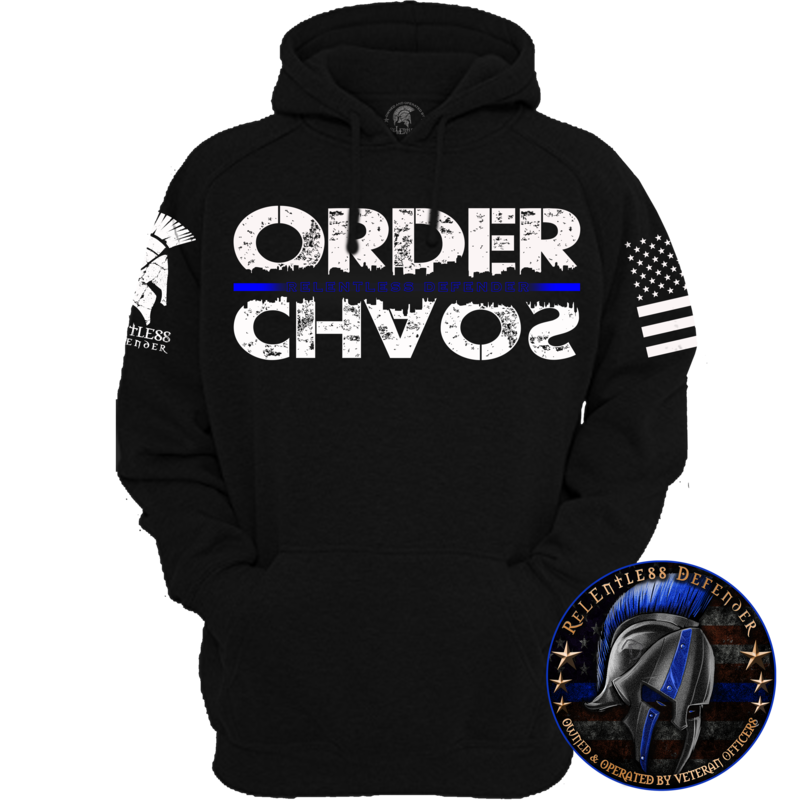 It is still in transit but I am sure I will love this as much as my other 8 orders from Relentless Defender! Thank you so much for all you do for the community and our officers and families! I just got this hoodie recently and absolutely LOVE it! I ordered two of these sweatshirts for me and my wife ( who is also a police officer) and they are awesome! I love the quality and craftsmanship is amazing. 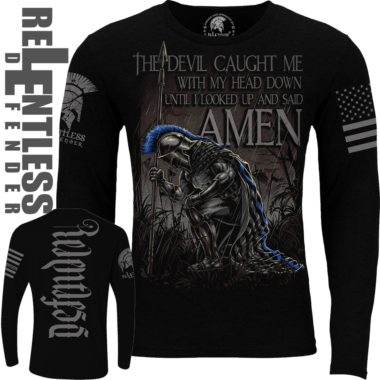 I love the overall print ” order/ chaos ” with the American flag on one sleeve and the spartan on the other sleeve is bold and badass! I will definitely be purchasing more apparel from Relentess Defender! 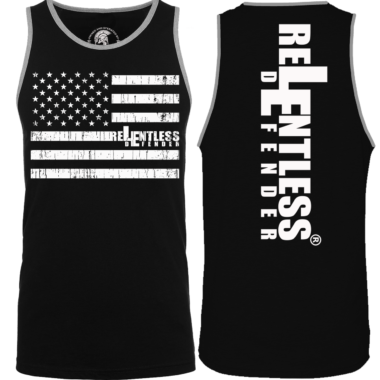 Gotta love relentless defender apparel,always surpasses expectations,so soft and such nice designs! I loved this one in a tee, but it was being covered by hoodies for the winter season. So glad I can rock this design all winter now. I love this hoodie it is super soft and warm. The logo is very fitting due to working in the jail! I love this hoodie, it is soft and warm! I have a t-shirt to match now.